The login screen – when the user first opens the app, they will be greeted with the Login Screen. The login details will be the same as those that required entering into the MedEntry LMS. Practice Exams: This will allow the user to complete full length exams that are found on the LMS. Eureka! 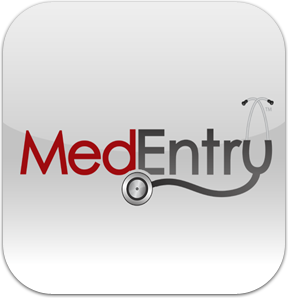 Question Bank: The user is able to access MedEntry’s exclusive Eureka! Program, allowing them to practice through a near-endless supply of training questions, no matter where they are. The information Screen – The information screen is scrollable ‘help’ section, which takes the user through all the details of how the app works. The sectional Submenu screen – On the MedEntry LMS, each sectional drill options is subdivided into further list of sub-categories. Allowing the user to pick the specific drill that they wish to practice with. To advance further, the user will need to select one of the options at hand. Drill Select screen – From here user is able to systematically go through each of the different drill sets on offer and practice them as much as they need to. Once a particular drill set has been completed, it will keep a record of when the drill was last completed, so the user will be able to view what drill sets have been completed, and when they were completed. Drill Set – Timed Query – As each drill set has its own recommended completion time, the app will ask the user if they wish to be placed under this same time constraint before the user commences the drill set. If the user selects ‘Yes’ from the black overlay box which slides in from the side, then a countdown times will restrict the amount of time they are given to answer all the questions. If however they select ‘No’, then they will be able to move through the drill set at their own pace. The Question Screen – it is the part of the app where the user is actually presented with the questions for them to answer. The screen itself will be divided into two separate halves. The top half of the screen is the question-half of the screen. The bottom half of the screen is the answer-half of the screen. It will contain the various options that the user can select their answer from. Each half will be scrollable within their own given area. Question Screen – Section 3 – If it is the case that the question can’t fir completely within the confines of the BLACK Question window, the user is able to scroll, drag and pinch to see the entire question. Selecting an Answer – Selecting an answer from the given options is as simple as pressing one of the answer boxes. Once this is done, the button will turn blue to indicate that the options as been selected. If the user wishes to advance to the next question, all they simply need to do is swipe their finger across the screen the next question will appear. Missing Questions – If the user swipes to another question without selecting an answer, then a red notification ball will appear letting them to know that they have skipped a question without giving an answer. This will keep a running tally of all the questions that the user has missed. In the example above, it can be seen that the user has skipped 3 separate questions.In order for the user to navigate back to any missed questions, they can either swipe back until they reach the missed questions, or they can press the question list button. Question screen action button – At all times, along the bottom of the question screen there will be a row of buttons that the user can access at any point. Each will have their own functions. Timer On/ Off – The timer ON/OFF button will allow the user to pause the app during any of the timed drill sets or the practice exams. The countdown timer is paused and black screen covers the entire question area. Pressing the resume button will resume the countdown timer and take the user back to the question part of the app. Tips – Pressing tips button will bring up a screen which provides the user with some helpful advice in terms of how to approach the question in that particular section. This button will be available during all of the Sectional Drill Sets; however during any of the practice exams, this button will be grayed out and made inactive. Finish Button – The finish button will allow the user to end the drill set and advance to the summary screen. Once they press this button, a black notification box will slide in from the side and ask the user if they’re sure they want to complete the drill set. If the user happens to have some questions that are unanswered, then this notification box will also let them know if they still have any questions remaining. 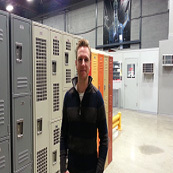 Run-out of time – If the user has selected the option of completing a timed drill set, but they are unable to answer all the questions within the given time, the user will be forced to stop, before then being diverted straight to the summary screen. View Answers – which will show which questions the user answered correctly/ incorrectly. Email as PDF – This will allow the user to email a copy of their results so that they are able to keep their own personal record of how they are progressing. The answer list – the answer list screen is very similar to the question list screen , but with the major difference being alongside every question, is a ‘tick’ or a ‘cross’ to indicate whether the user answered the question correctly or incorrectly. The user can seek the correct answer by pressing the desired question bar. This will then bring up the check answer screen. The answer screen – It will show the user the correct answer by firstly fading out all the incorrect answers, and then highlighting the correct answer in a teal color. Practice Exams – Pressing the PRACTICE EXAM button will take the user to a screen which lists all the available exams that the user can complete. Once they have selected a particular exam they wish to complete, it will then take the user to the PRACTICE EXAM PREPARATION SCREEN. The Practice exam Preparation screen –It provides an overview of the section that the user is just about to enter. 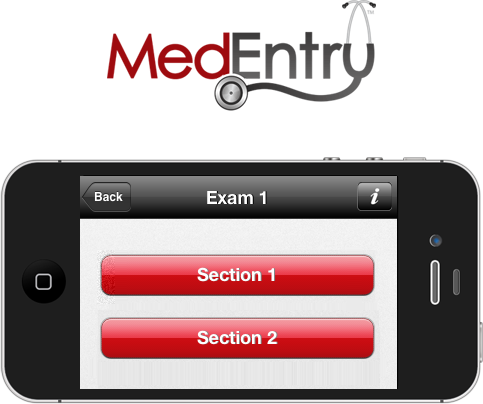 During the practice exam, this screen will appear before the user enters each of the three different sections. The Practice exam Question screen – Almost identical to the QUESTION SCREEN as encountered in the drill sets, in the exact same way the user is able to move through all the questions by firstly pressing the option that they feel is the correct answer, and then swiping across to view the next question. The Practice exam summary screen 1 – Similar to the SUMMARY SCREEN, once the user has completed a practice exam, they will then be presented with a screen which gives an overview of their overall performance. The results will be displayed as such; first the raw score is shown, and then underneath this, the sectional breakdowns are provided. The Practice exam summary screen 2 – Towards the bottom of this summary screen, the three buttons of note, are; ‘View Answers’, ‘Email as PDF’ and ‘Percentile Ranking’. ‘Email as PDF’ is a great way for the user to keep a track of how they progress through the various different Drill Sets and Practice Exams. The VIEW ANSWERS screen will work in the exact same way that it was done in the Drill Sets part of the app, and the PERCENTILE RANKING is a feature that is exclusive to the PRACTICE EXAMS. Percentile ranking – The PERCENTILE RANKING is a feature that the user will find to be of great benefit in comparing where they rank with other users of the MedEntry App. Once the user has selected EUREKA! QUESTION BANK from the HOME SCREEN, they will then be taken to a follow-up screen which lists the options; Section 1, Section 2 & Section 3. 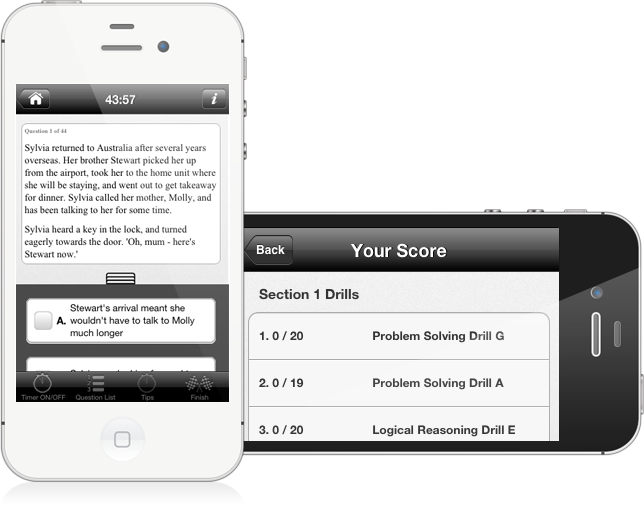 Once the user has selected the section that they wish to practice, the app immediately launches itself right into the QUESTION SCREEN. The eureka! Question screen – the EUREKA! QUESTION SCREEN is nearly identical to the question screens previously encountered in the other sections of he app. As this is just a continuous stream of questions, once the user has made their selection, they will select an answer by pressing down on one of the empty options, and then they will swipe across. In swiping across, the following screen will reveal the correct answer for that particular question. Once the user is done with that question, they will then swipe across once more and the following question will then appear. In this way, the user is able to answer as many questions as they need to. At the very top of the screen, a running total will keep a tally of how many questions the user has attempted and answered correctly within the one session. Top scores – This will allow the user to keep a record of their best performances throughout the app. When the user clicks the TOP SCORES button from the HOME SCREEN, it will take them to an area where they can view their top three scores in a) each of the three sections from the Drilled Sets and b) the top scores from the Practice Exams. This gives the user a way to track their progress as they draw closer to the actual exam.